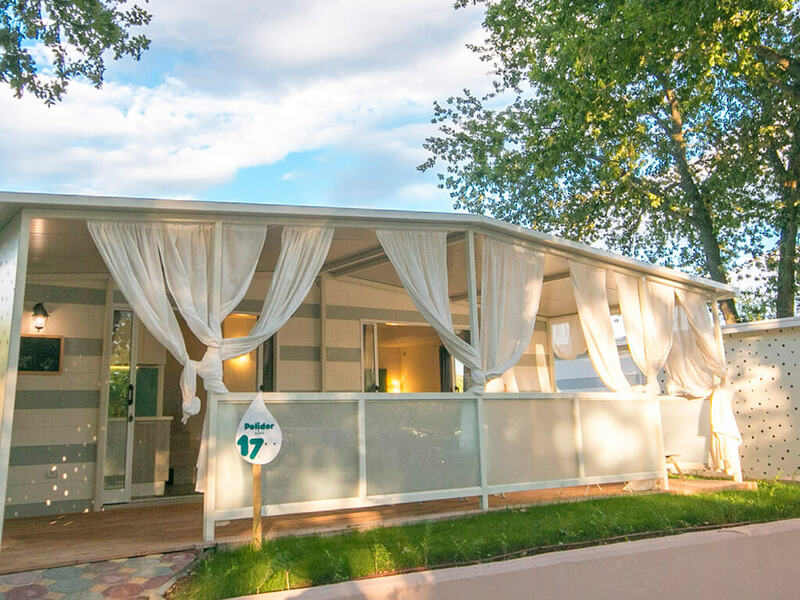 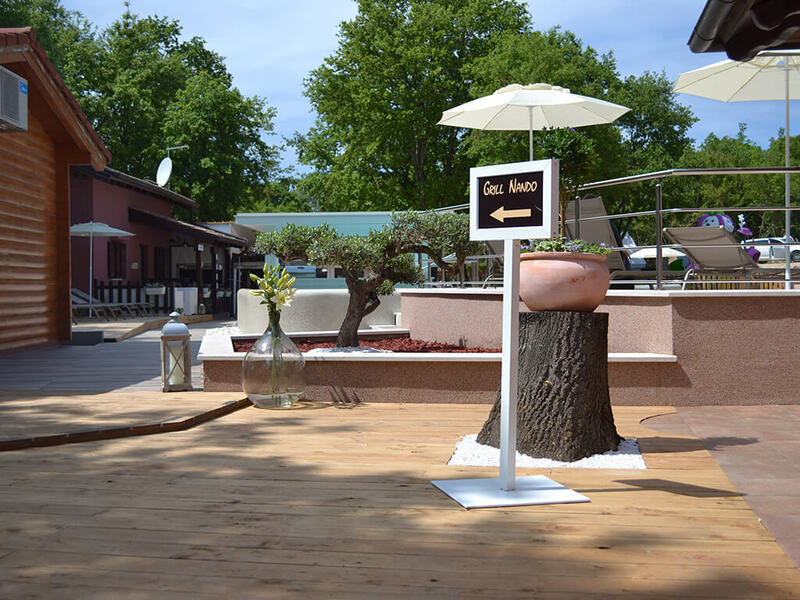 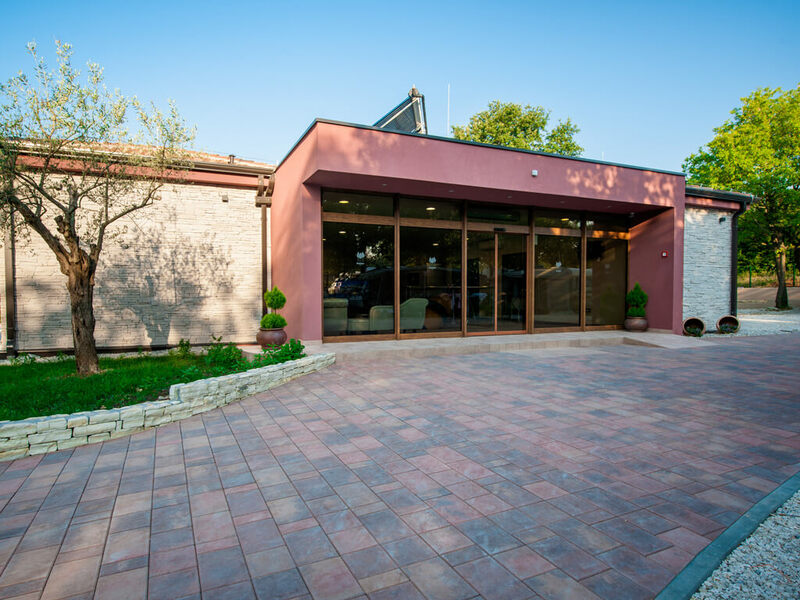 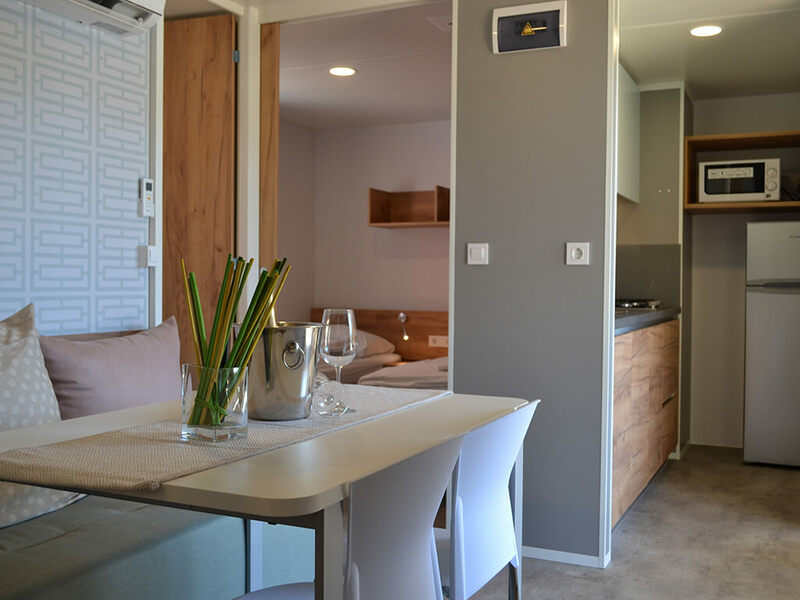 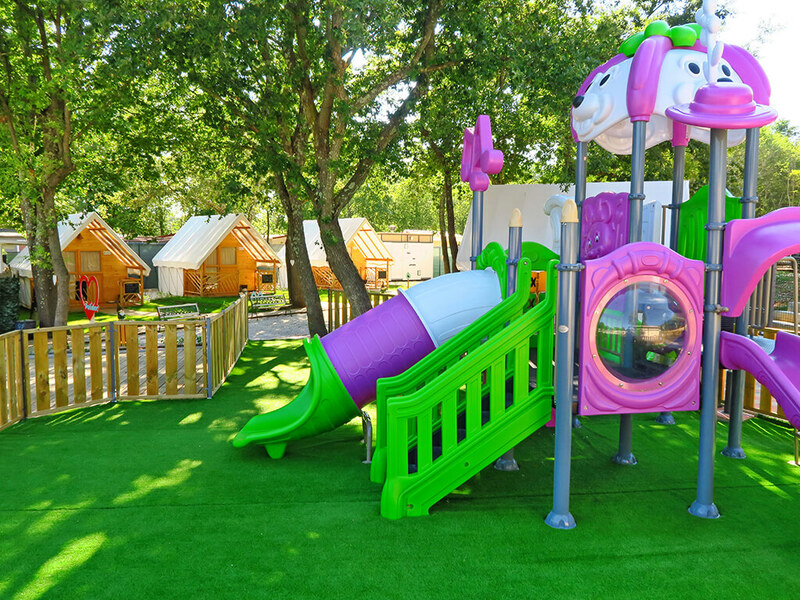 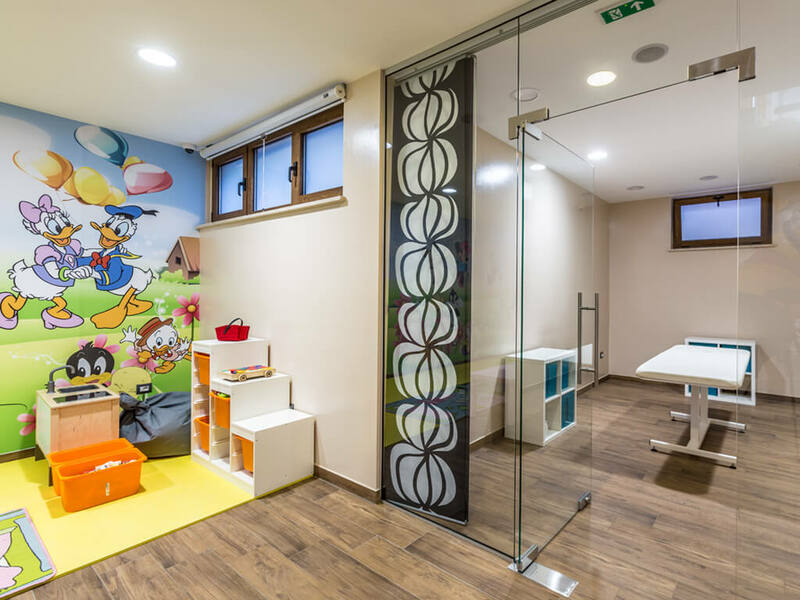 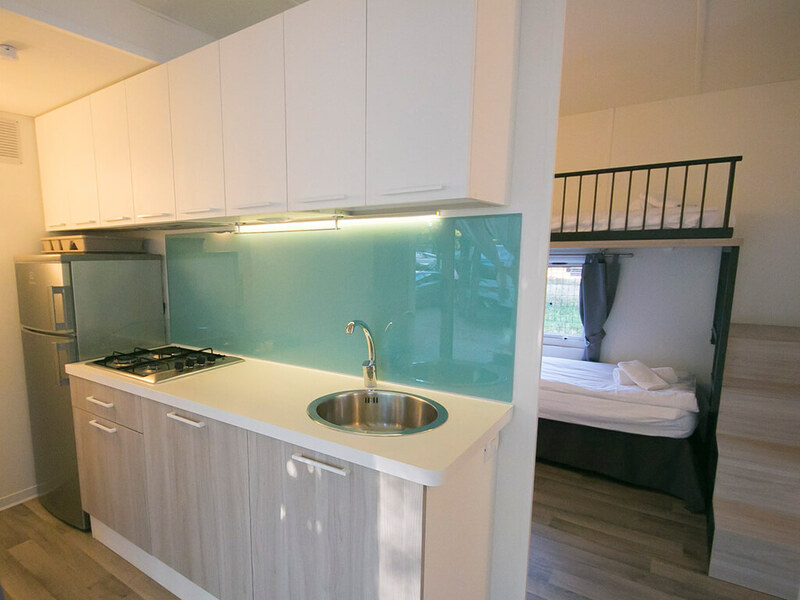 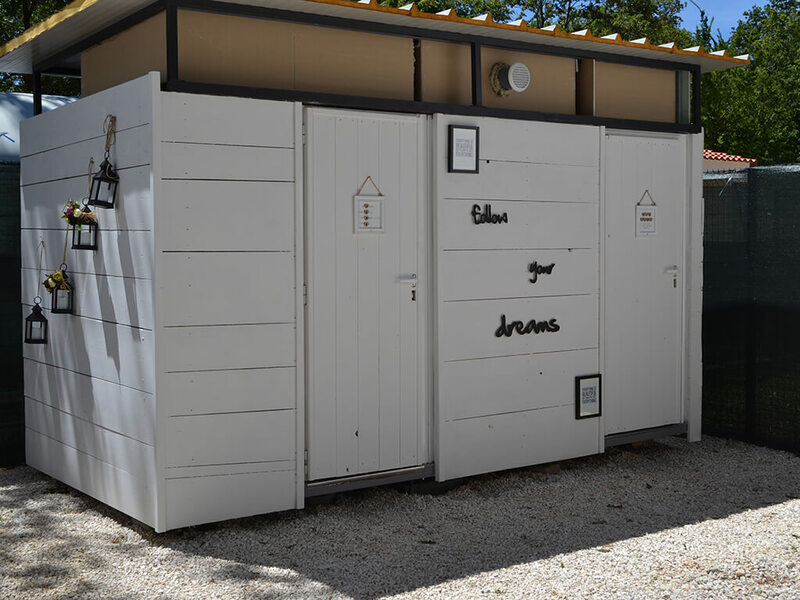 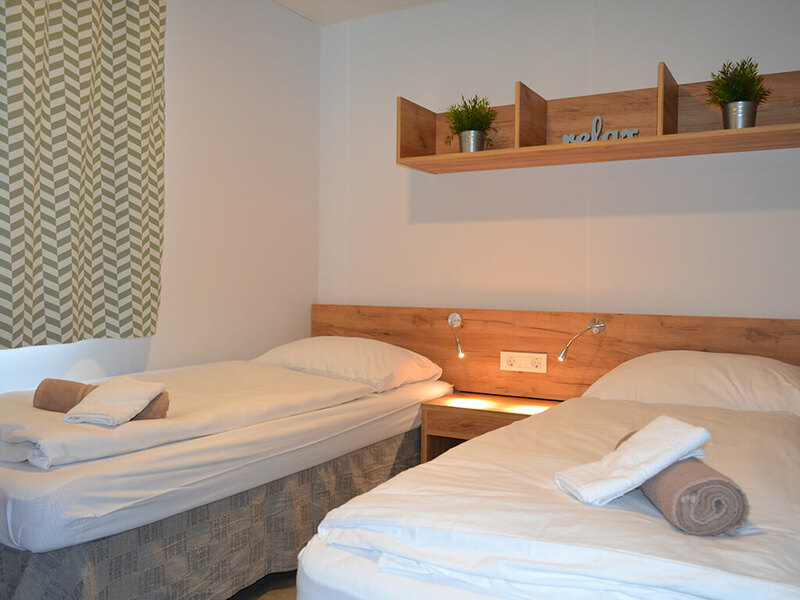 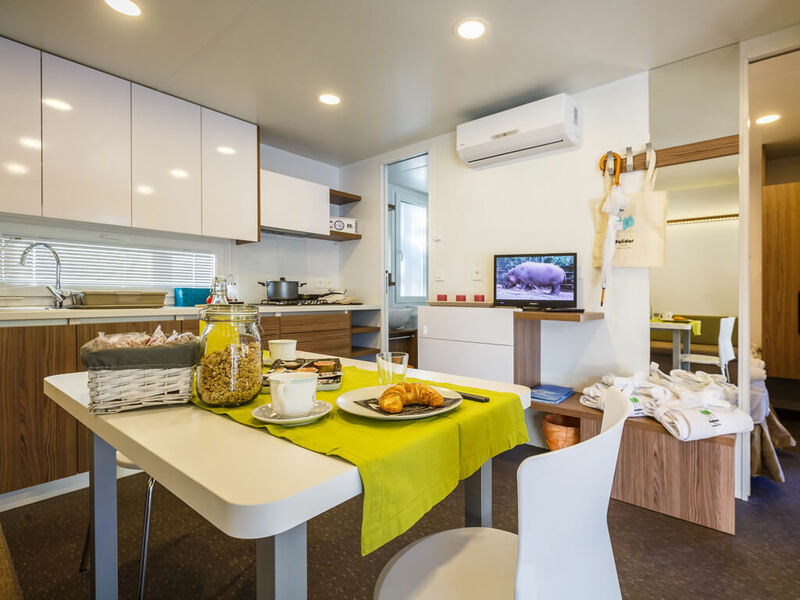 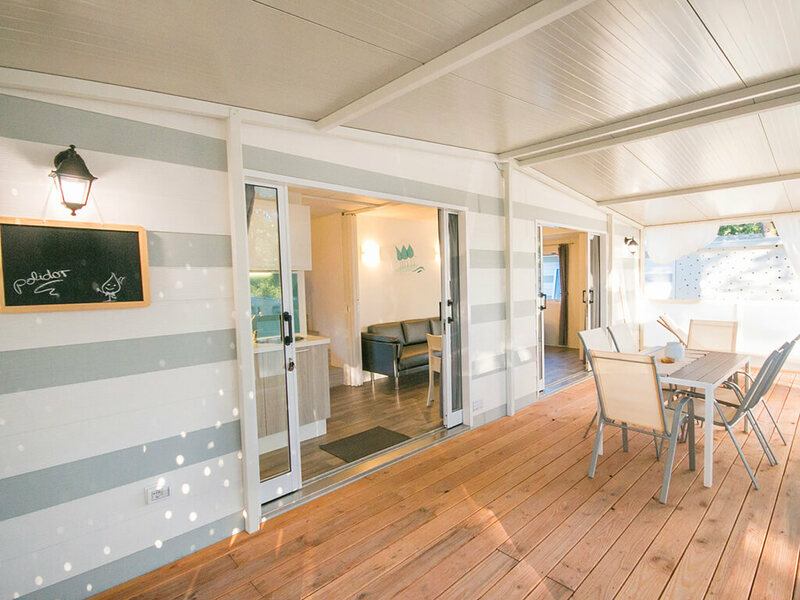 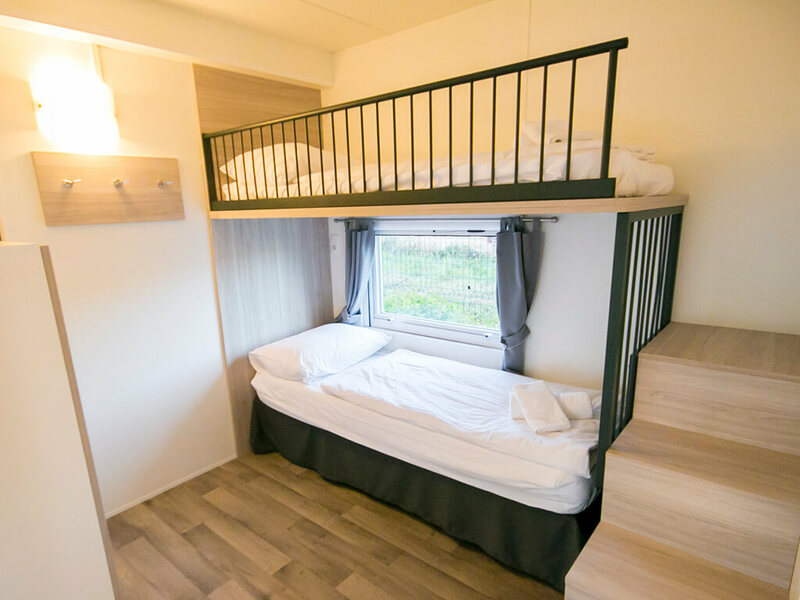 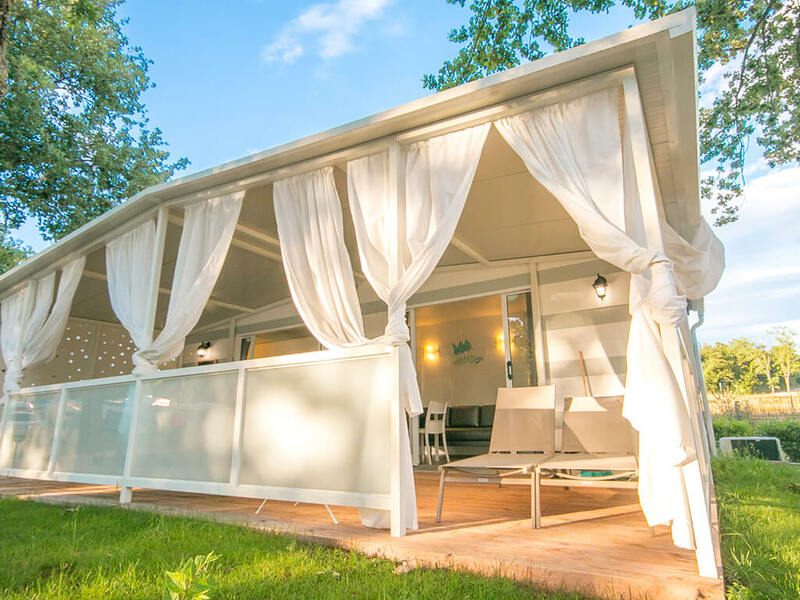 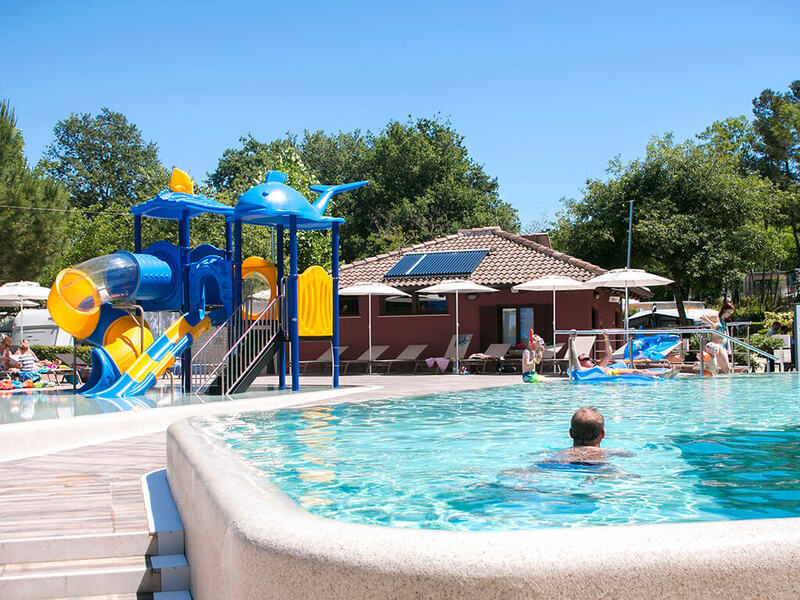 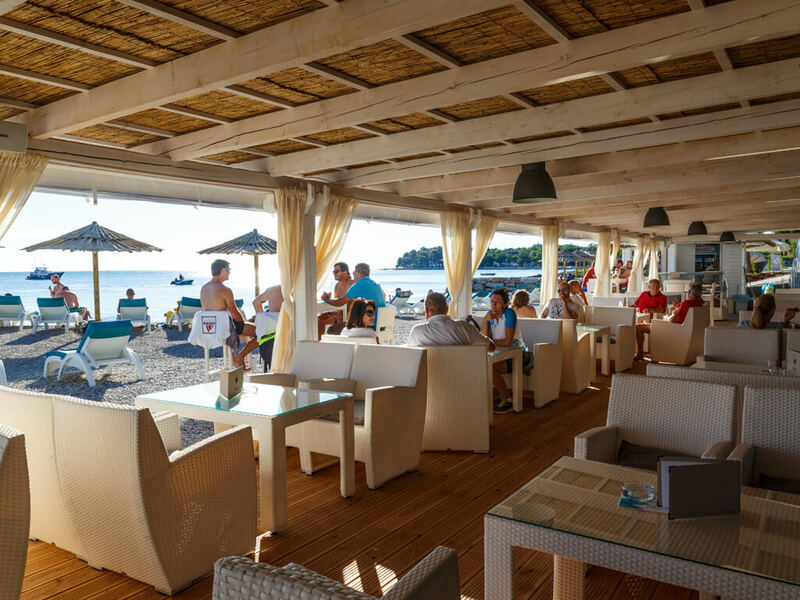 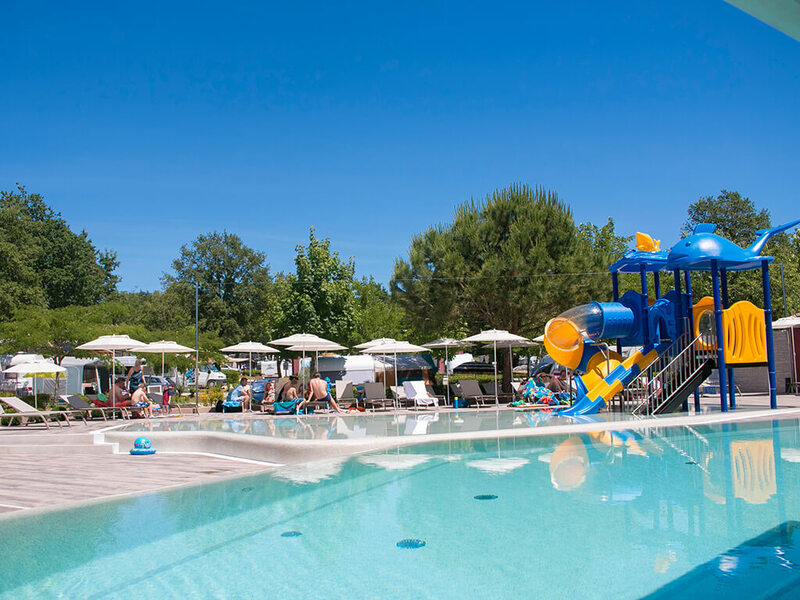 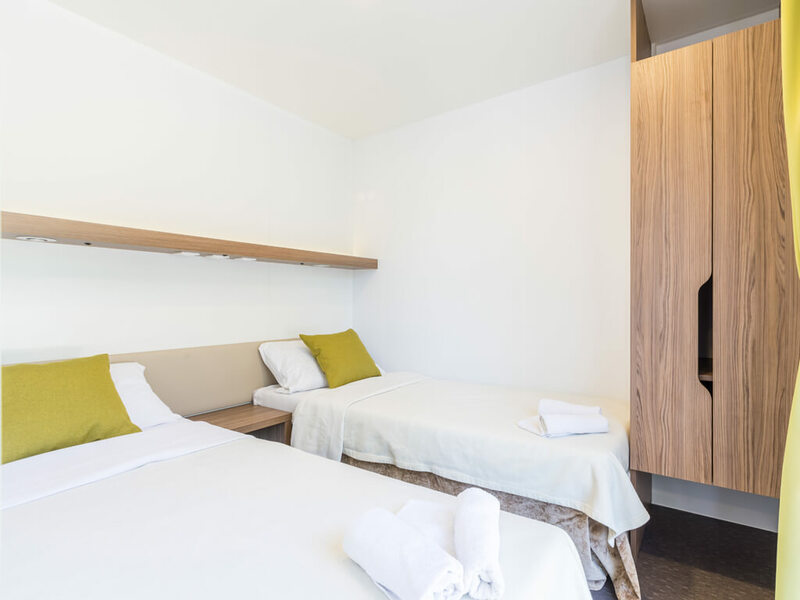 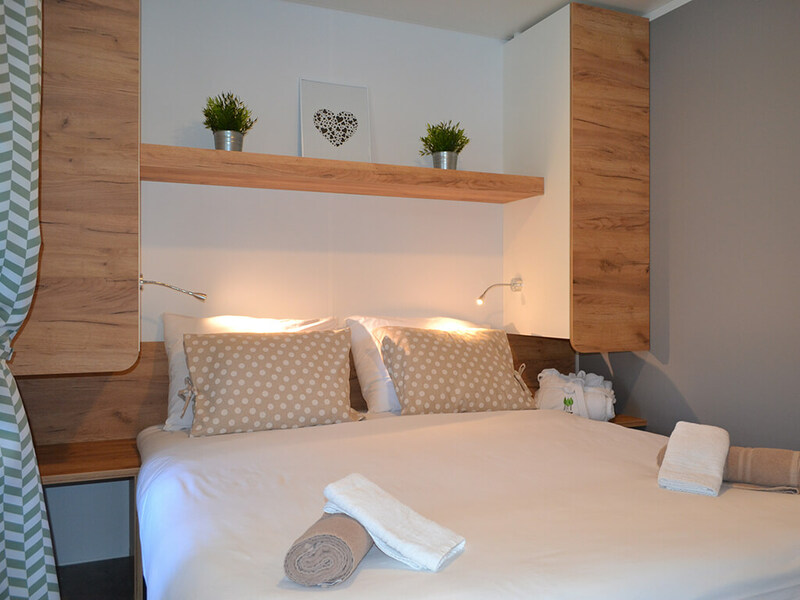 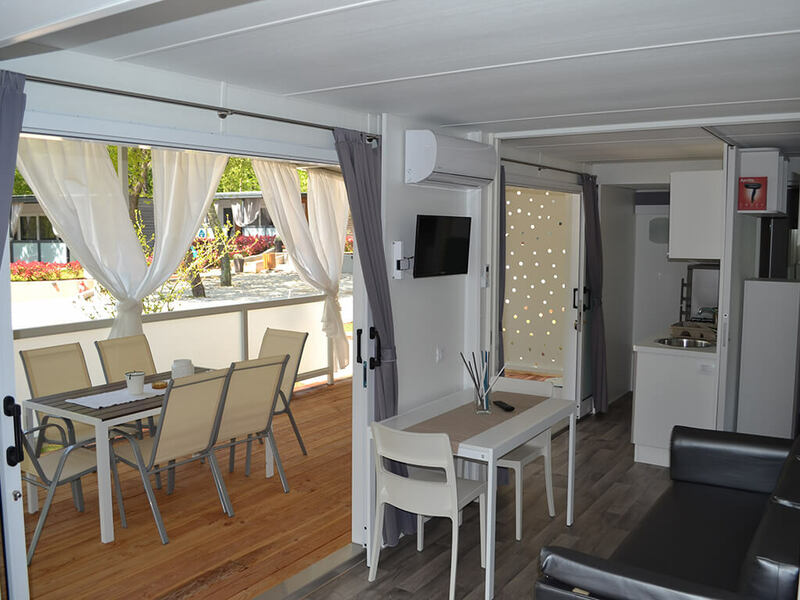 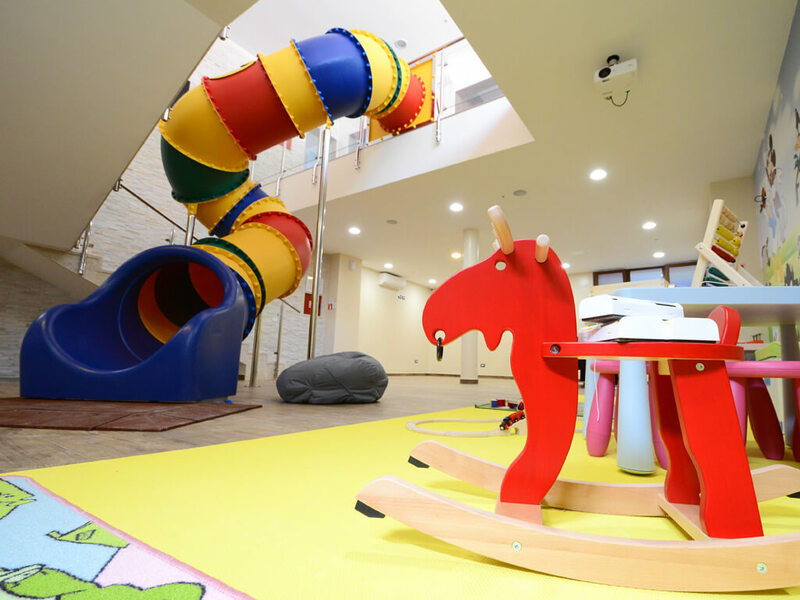 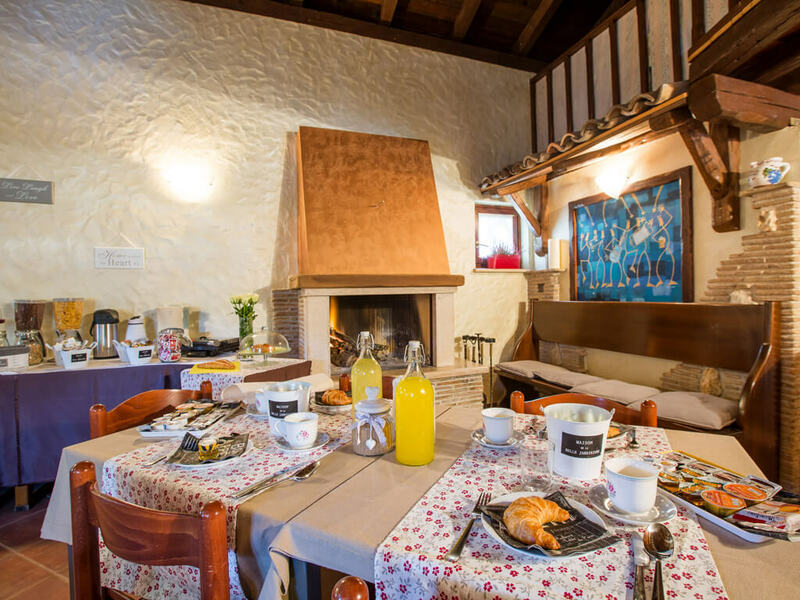 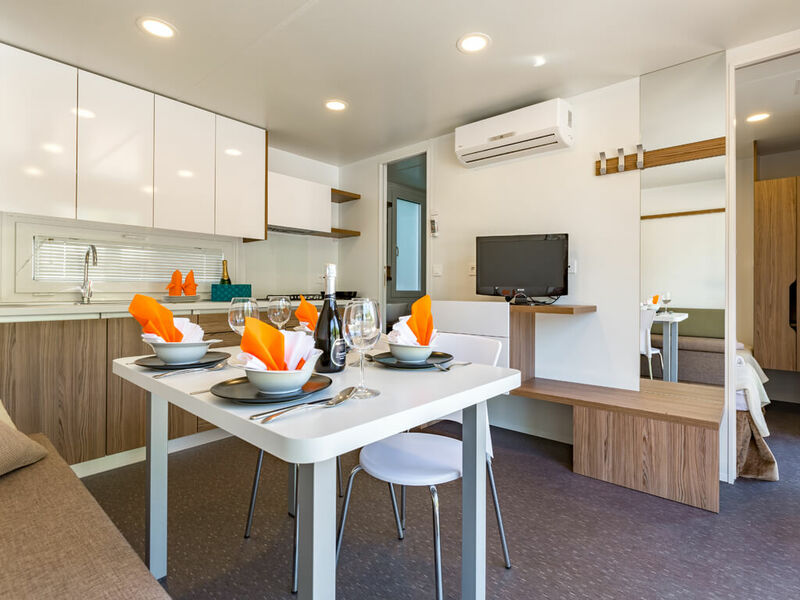 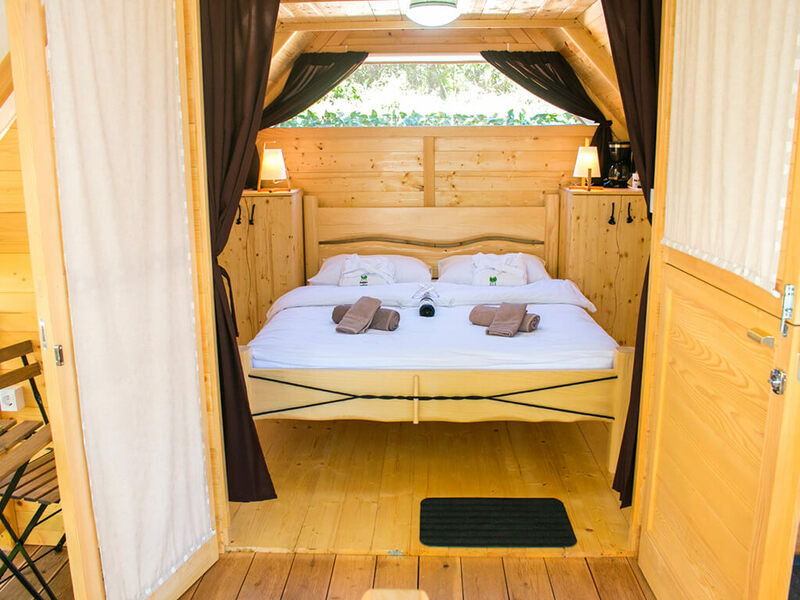 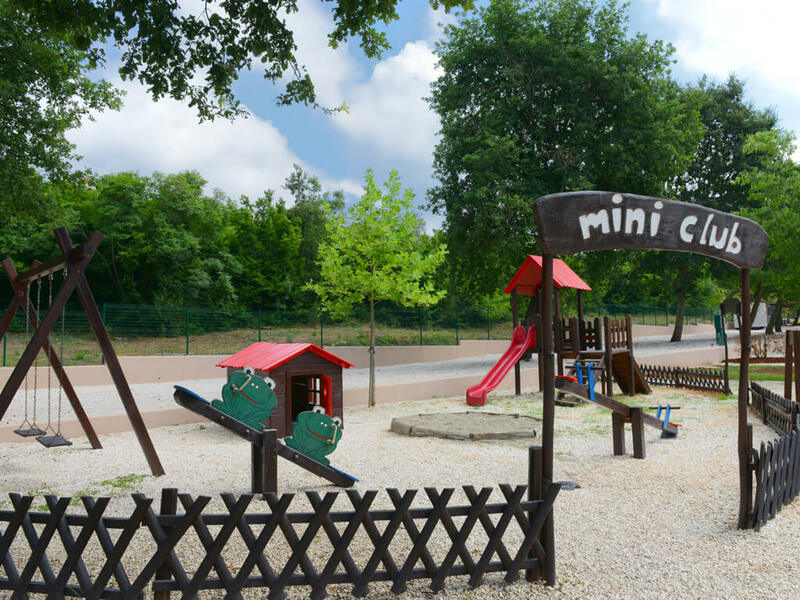 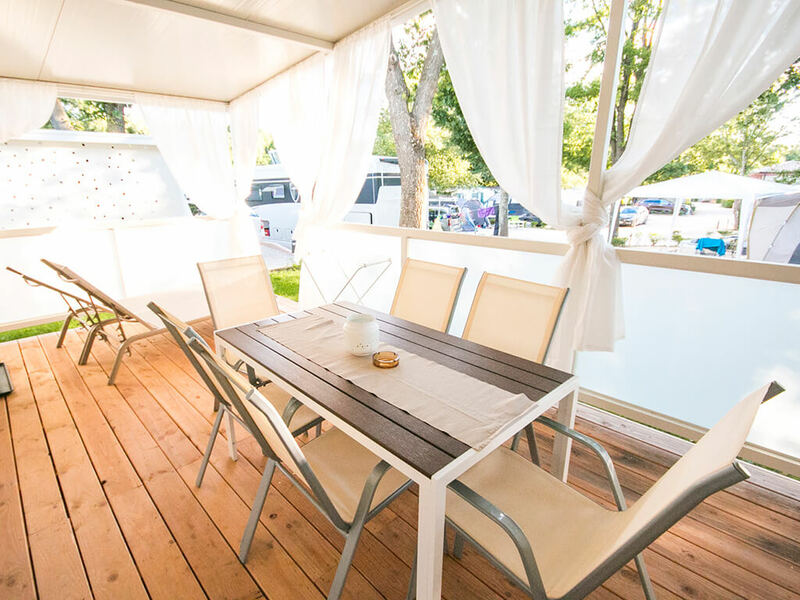 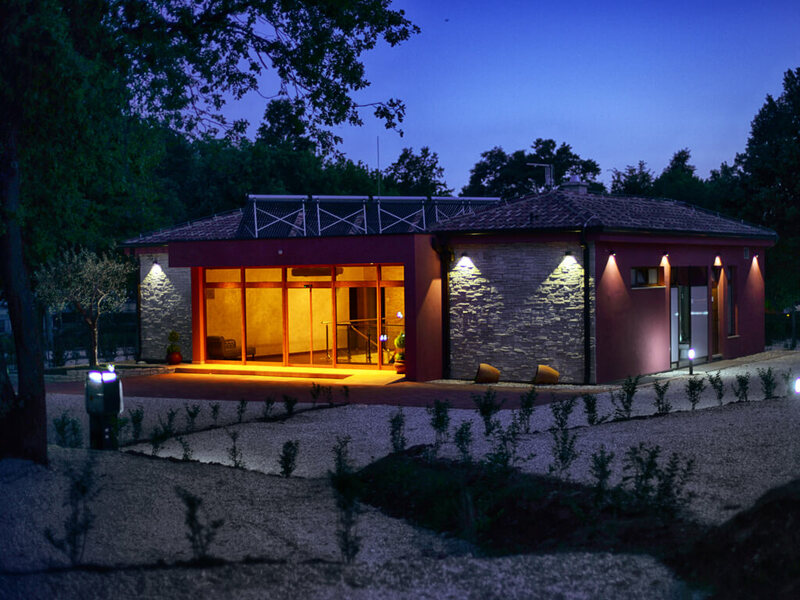 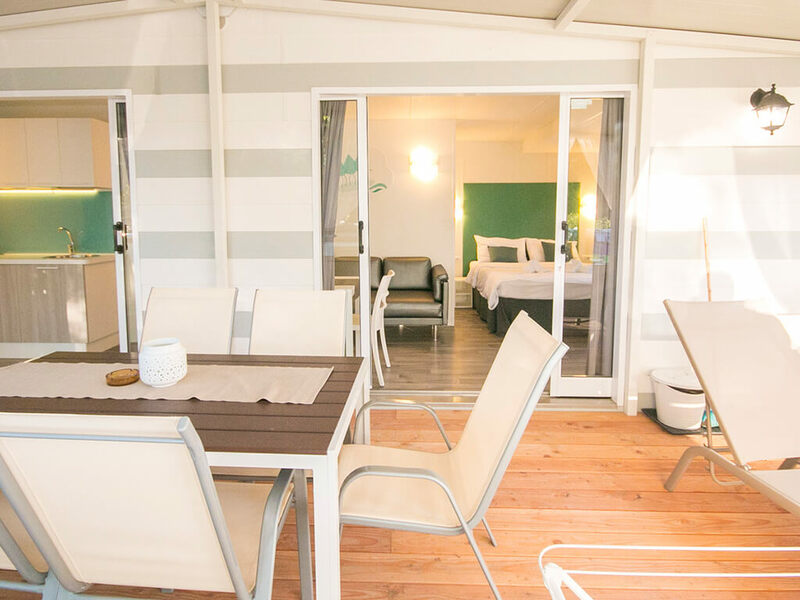 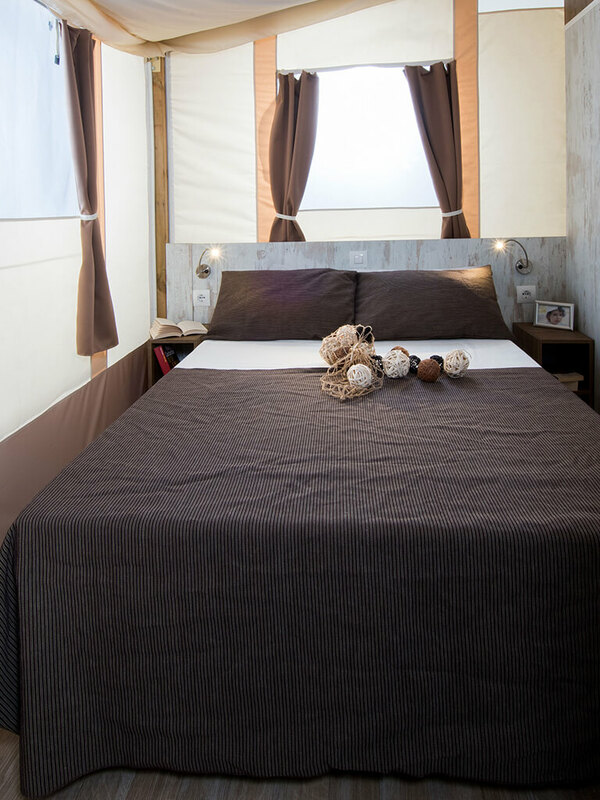 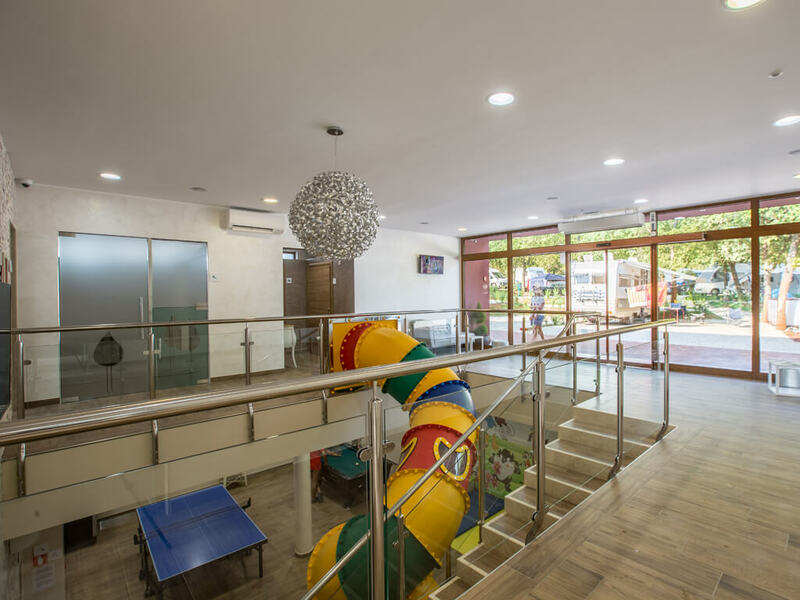 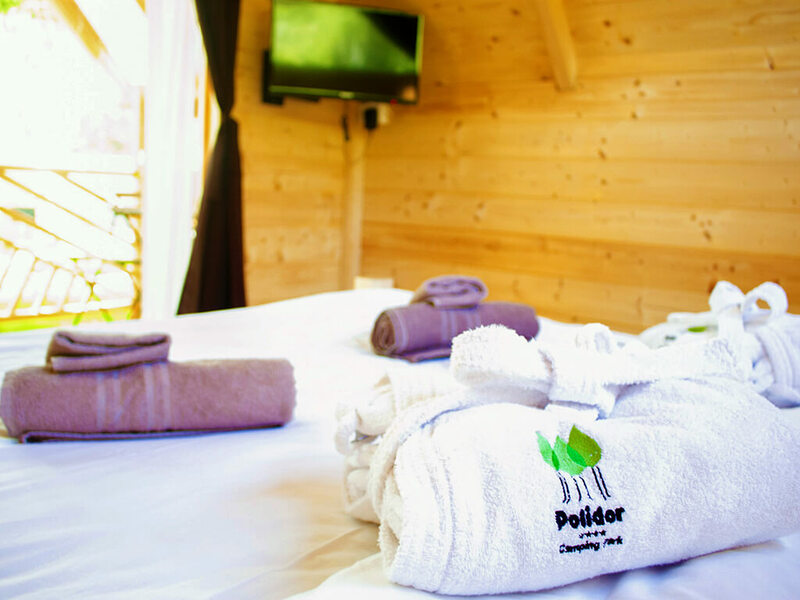 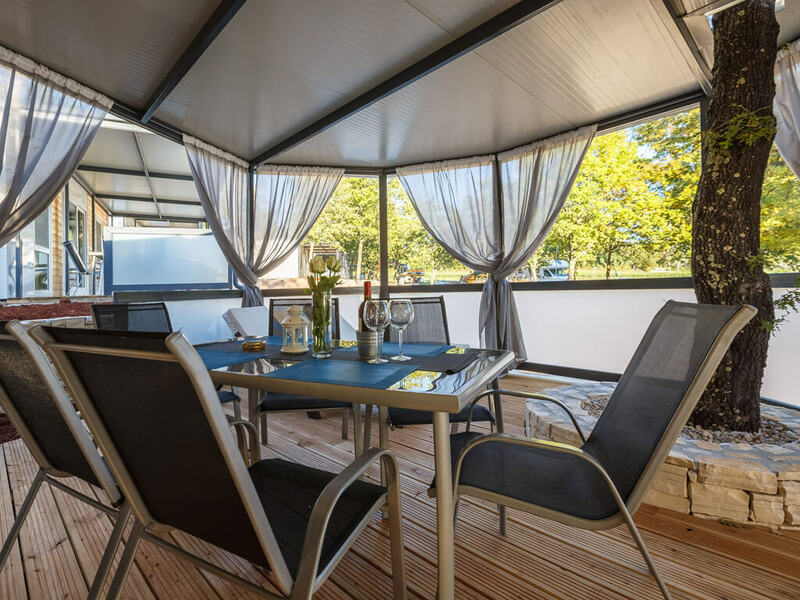 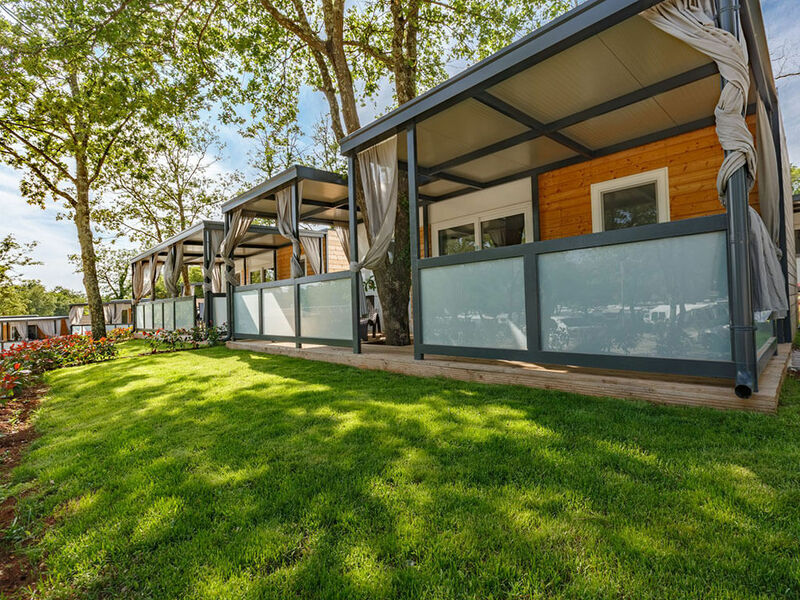 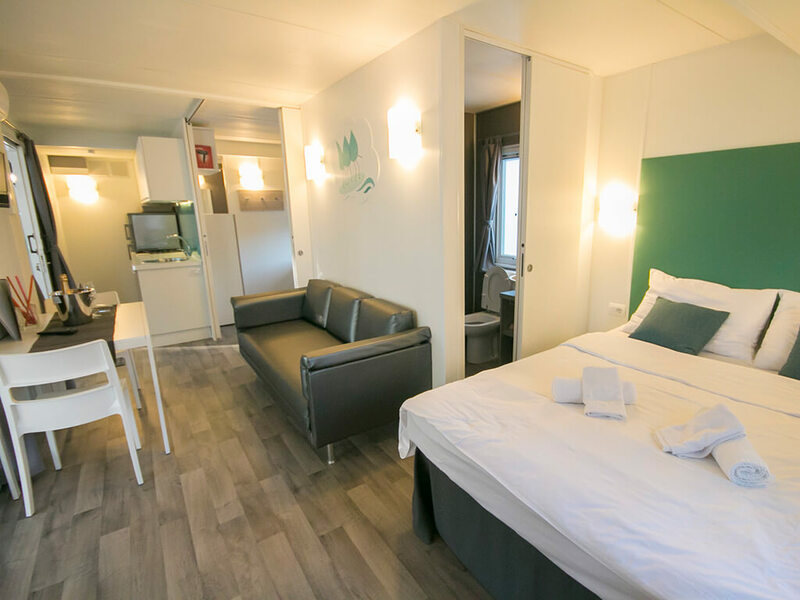 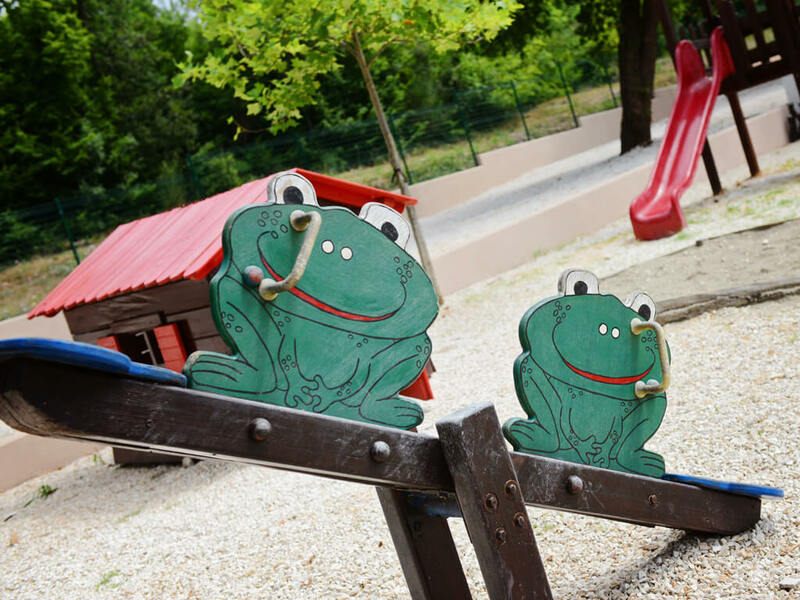 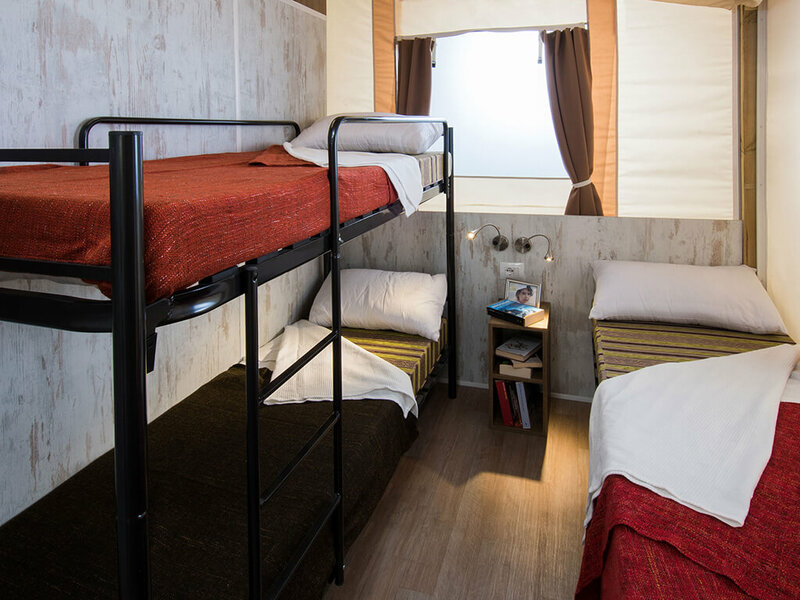 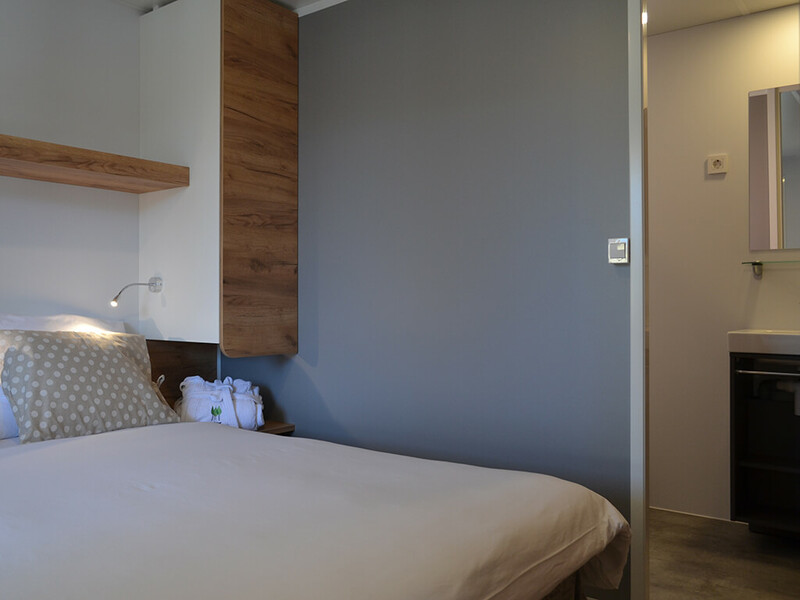 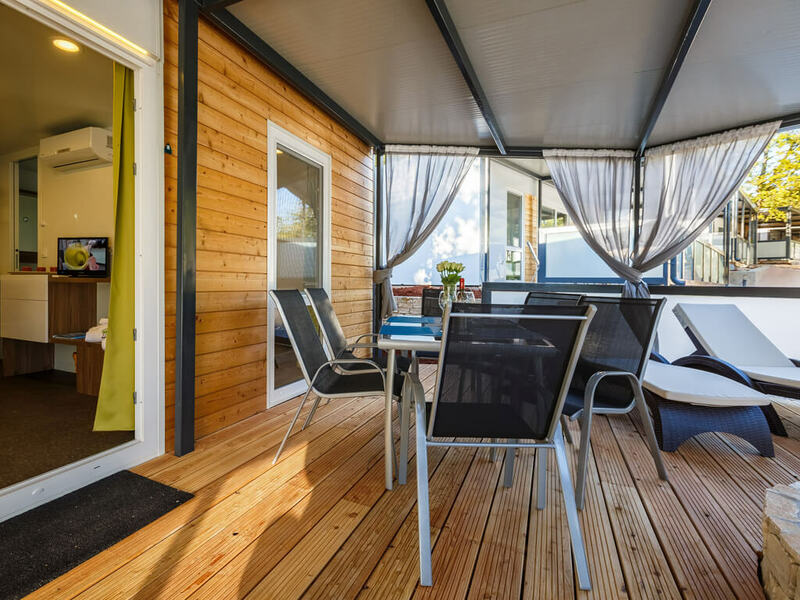 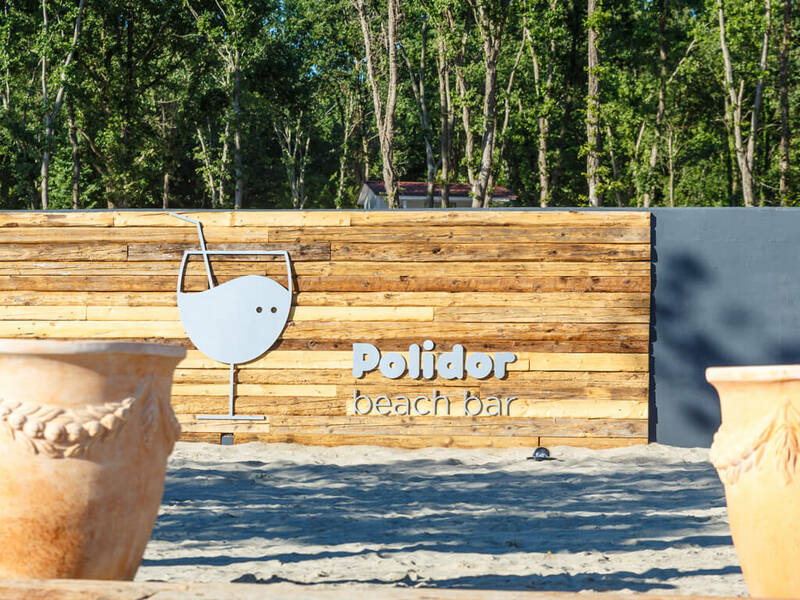 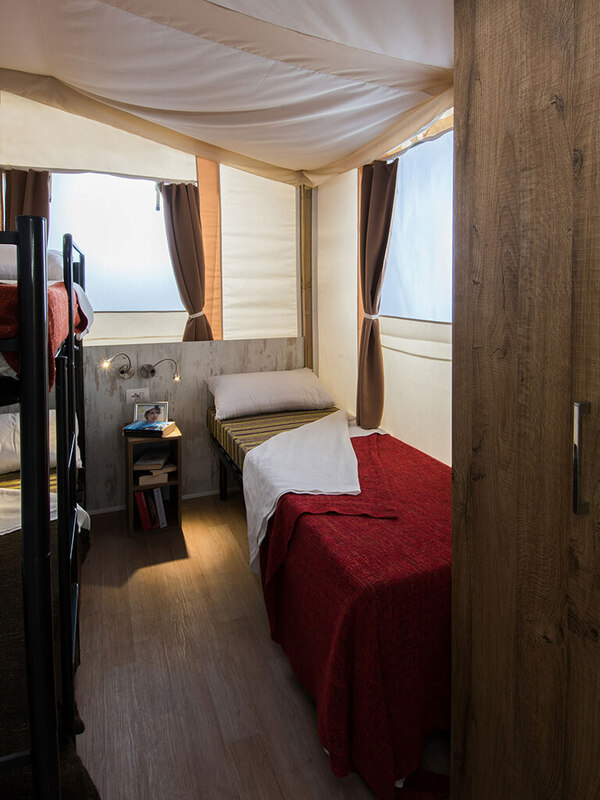 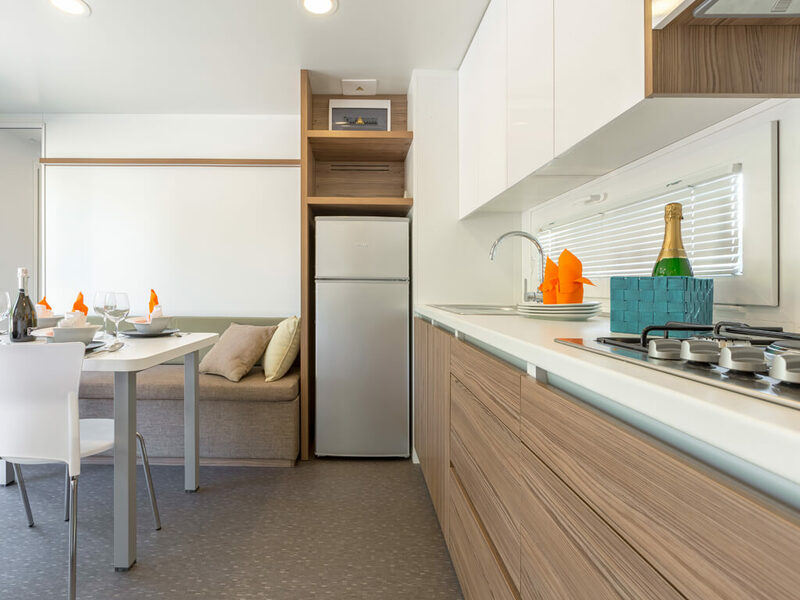 At the Campsite Park Polidor you will find modern and superbly equipped themed mobile homes, ideal for stays throughout the year! 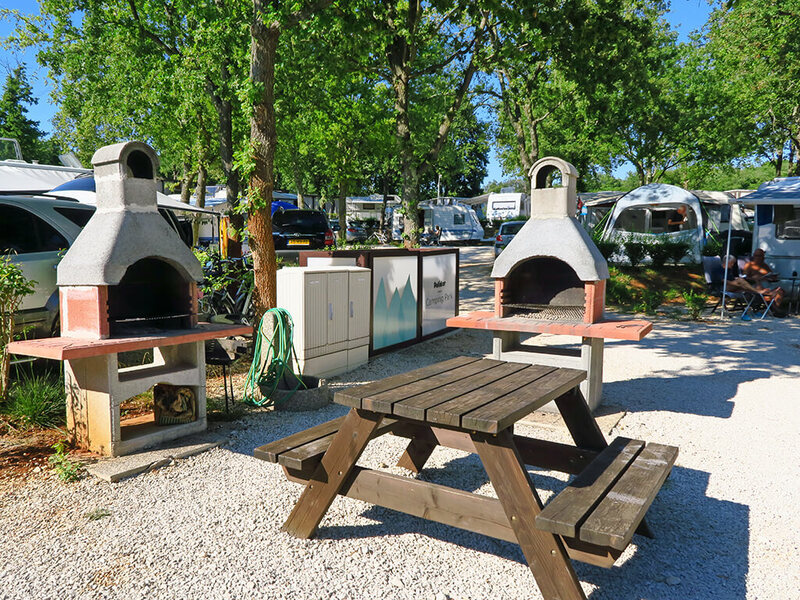 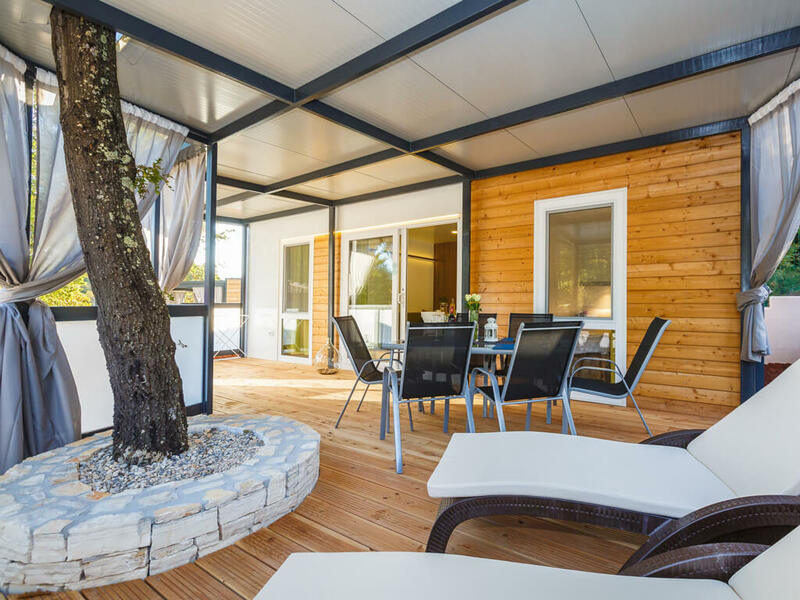 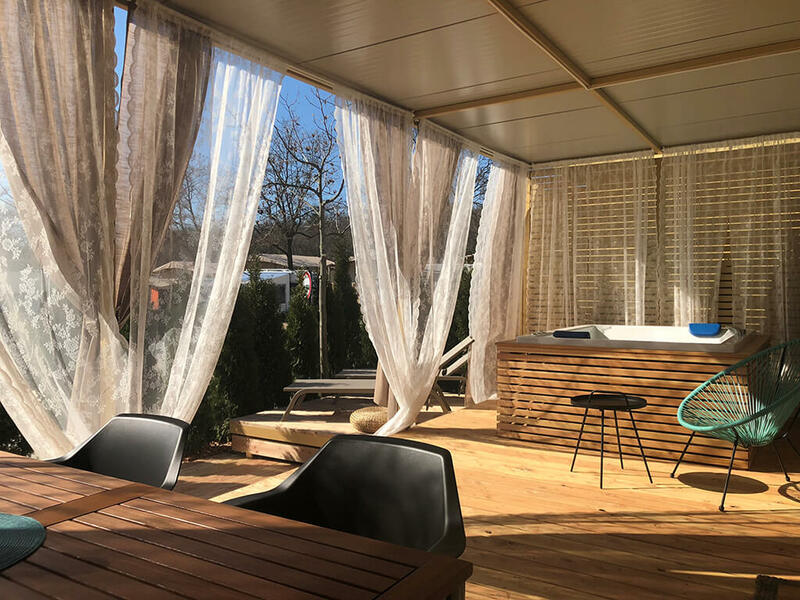 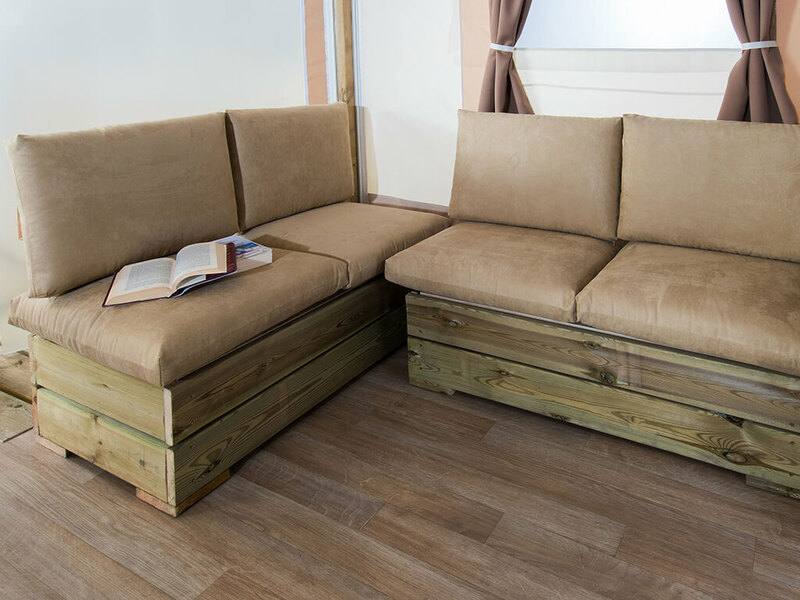 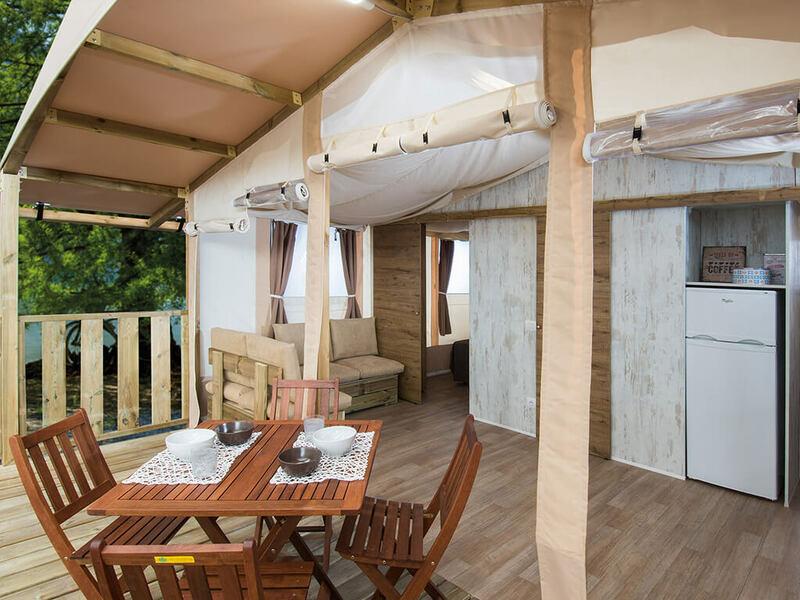 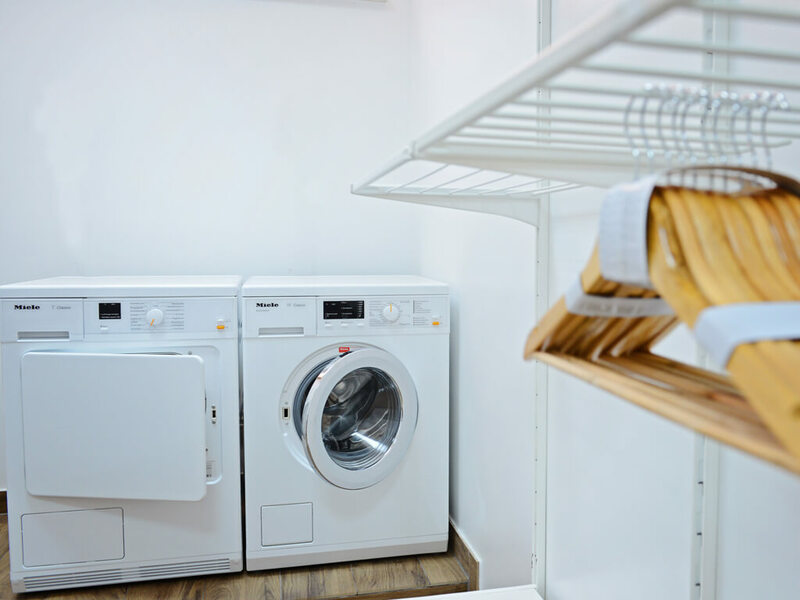 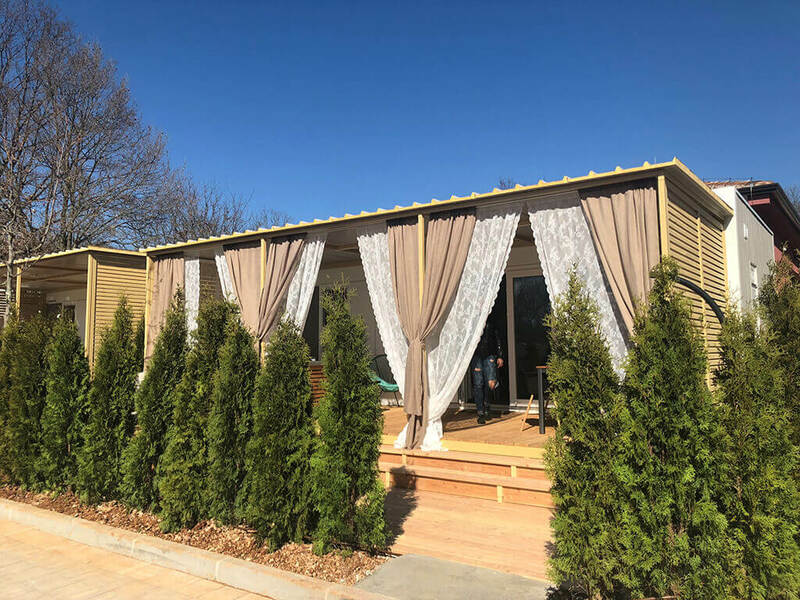 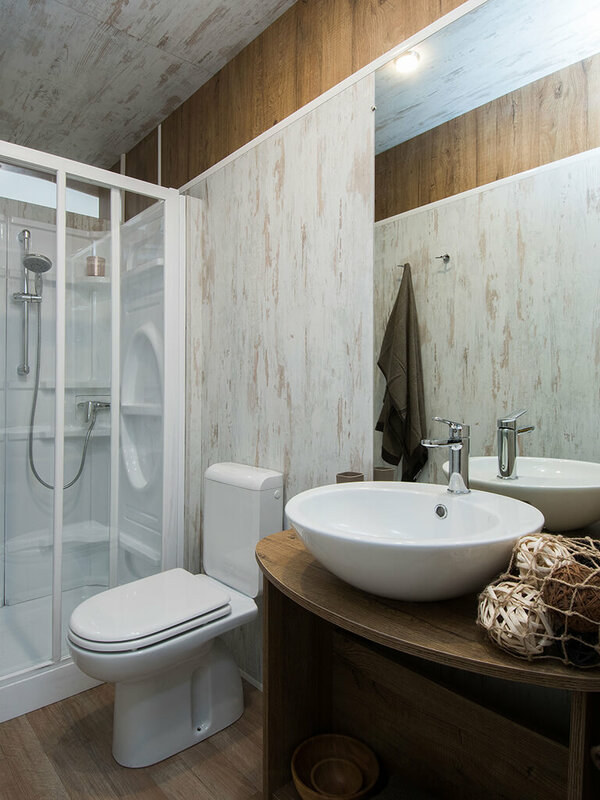 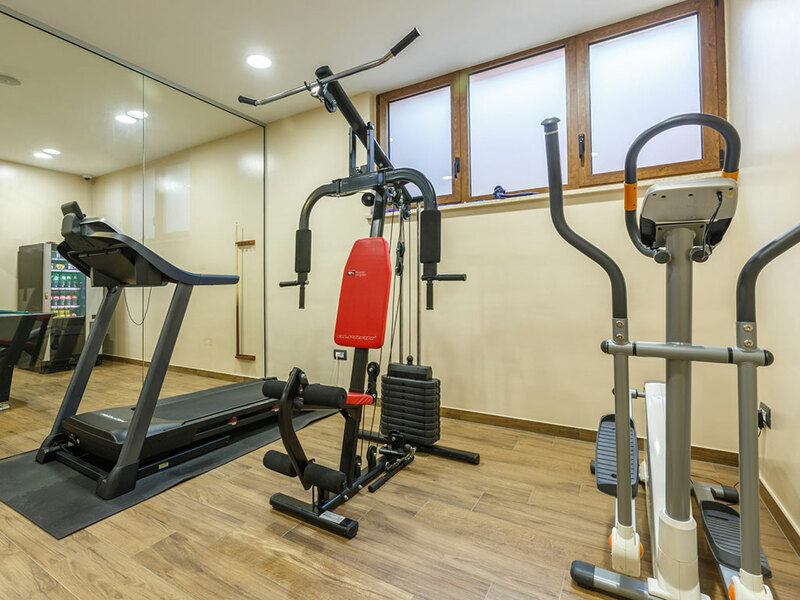 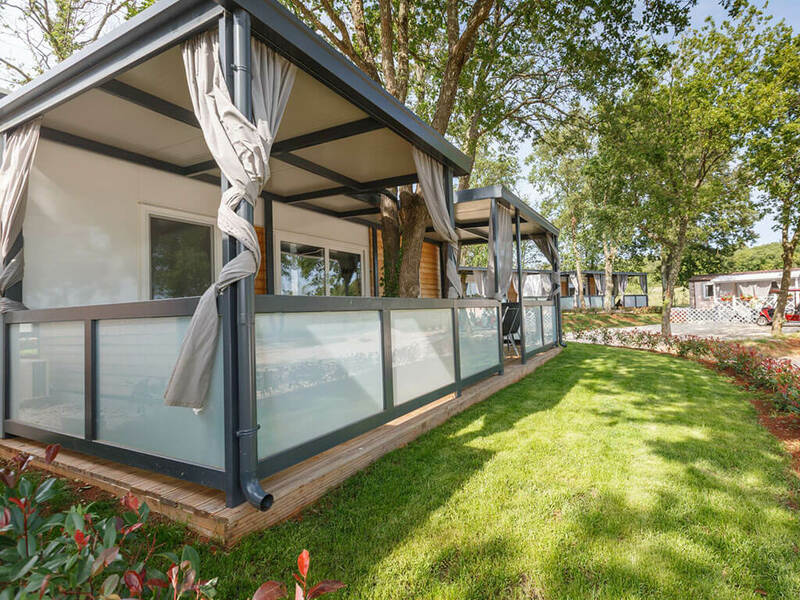 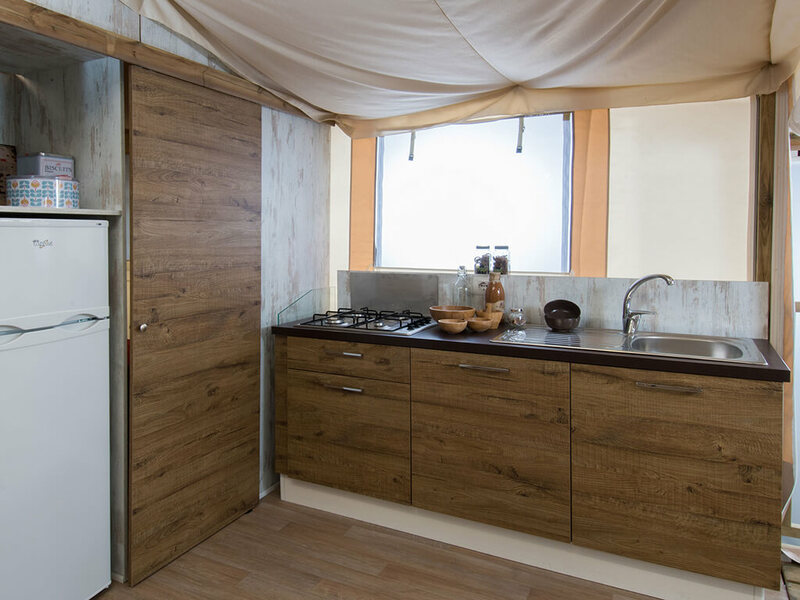 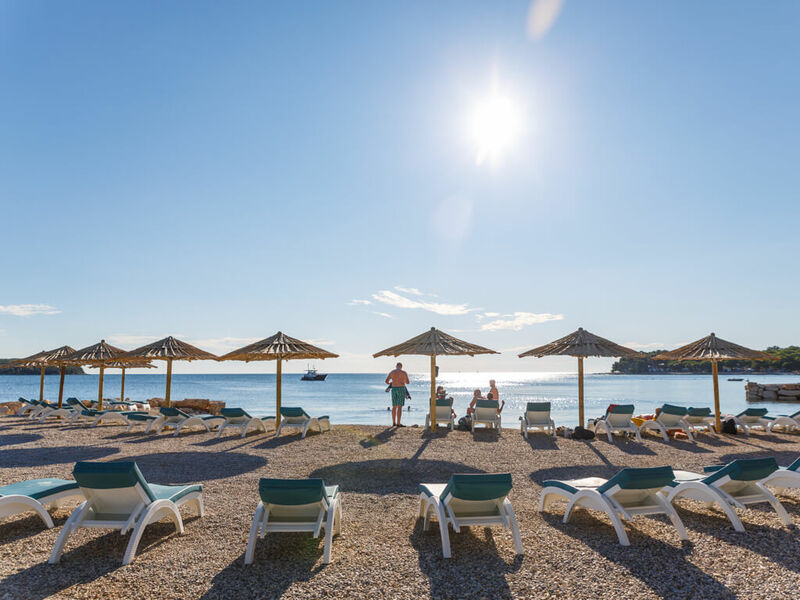 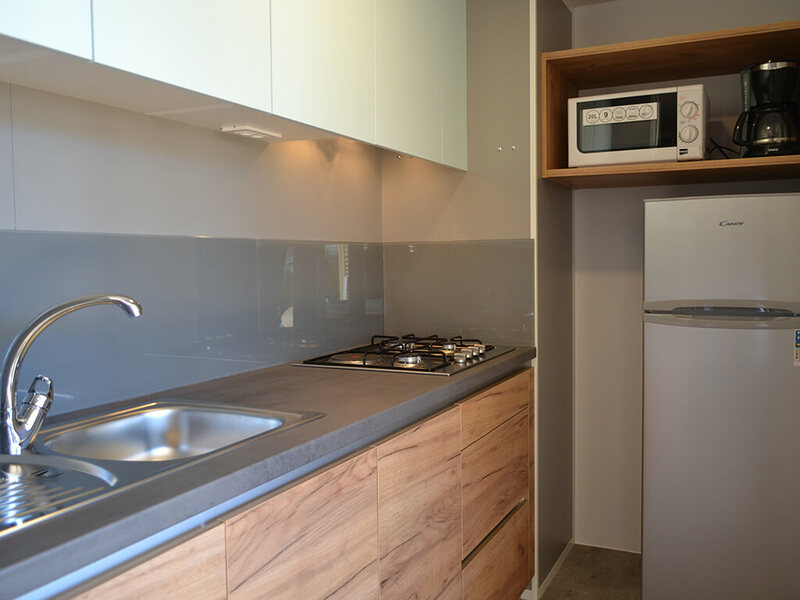 All mobile homes at the Campsite Park Polidor dispose with a minimum of 32 m2 of surface area, 2 bedrooms, 2 bathrooms, a kitchen, a spacious living room and a covered terrace, with a capacity of up to 6 persons. 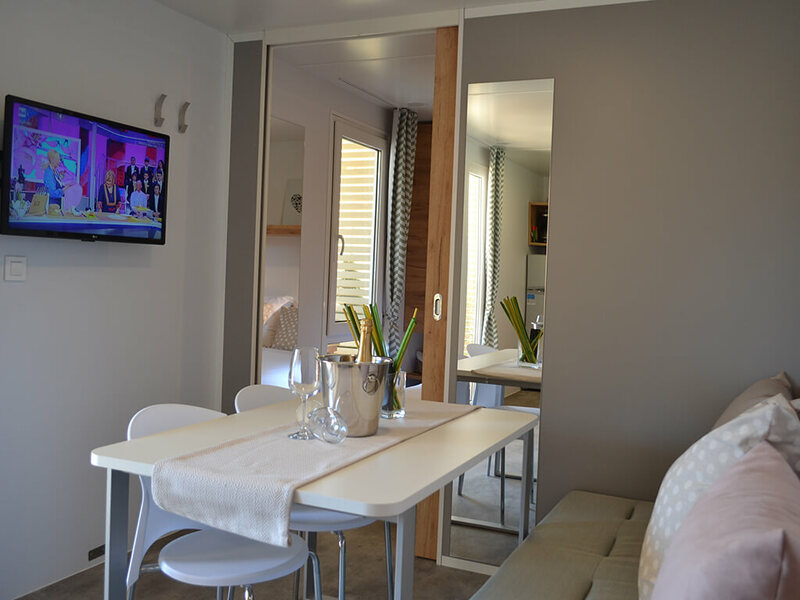 You can choose between 3 different types of mobile homes – Deluxe, Premium and Comfort. 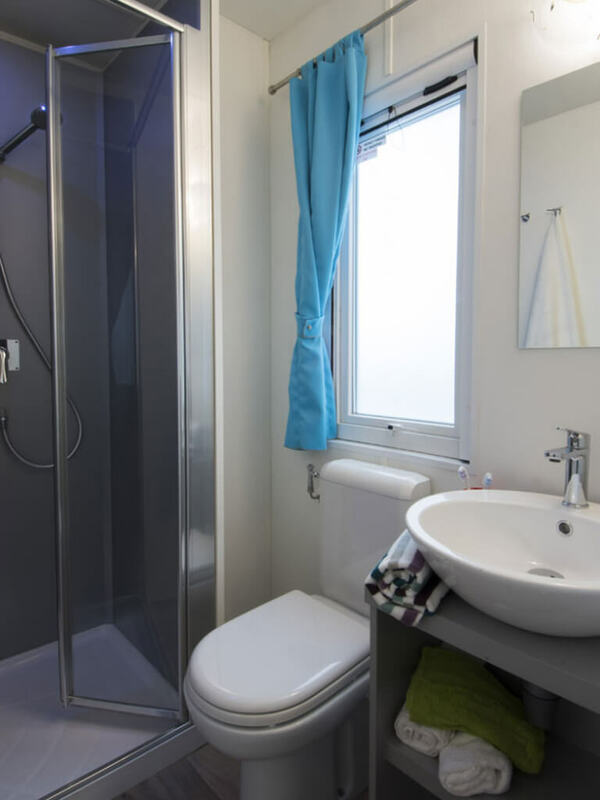 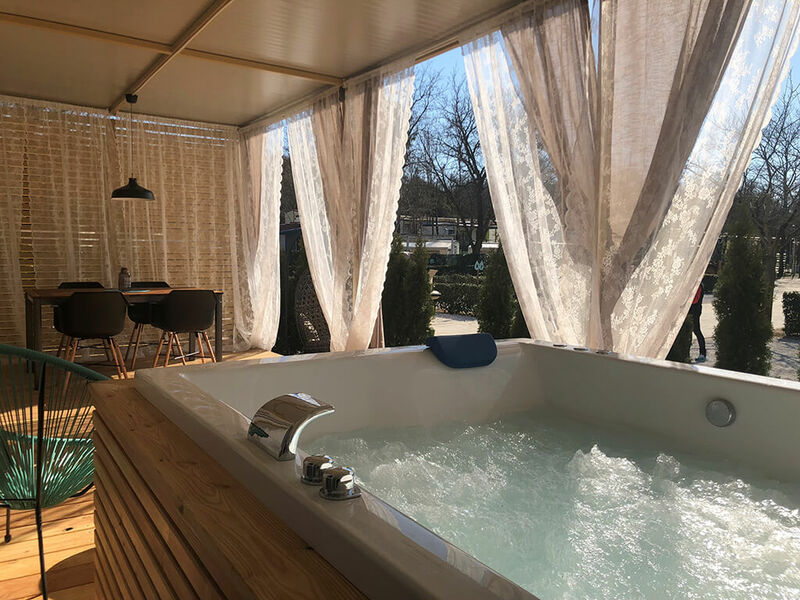 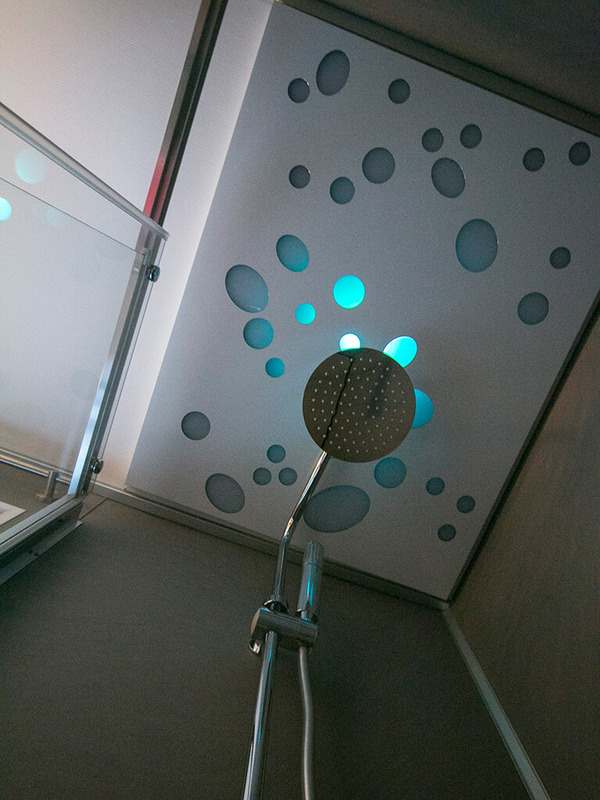 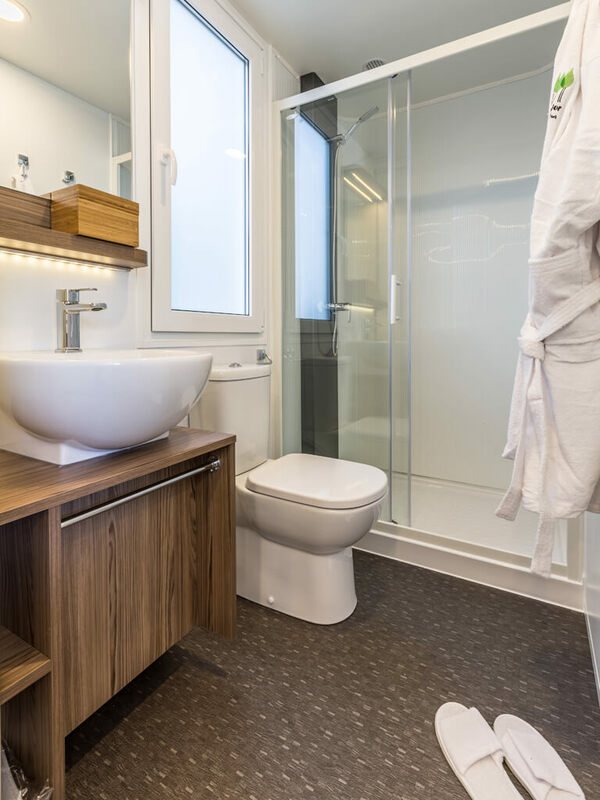 Some of them specially stand out for a private hydromassage tub on the mobile home’s terrace, other are ideal for a stay with a pet. 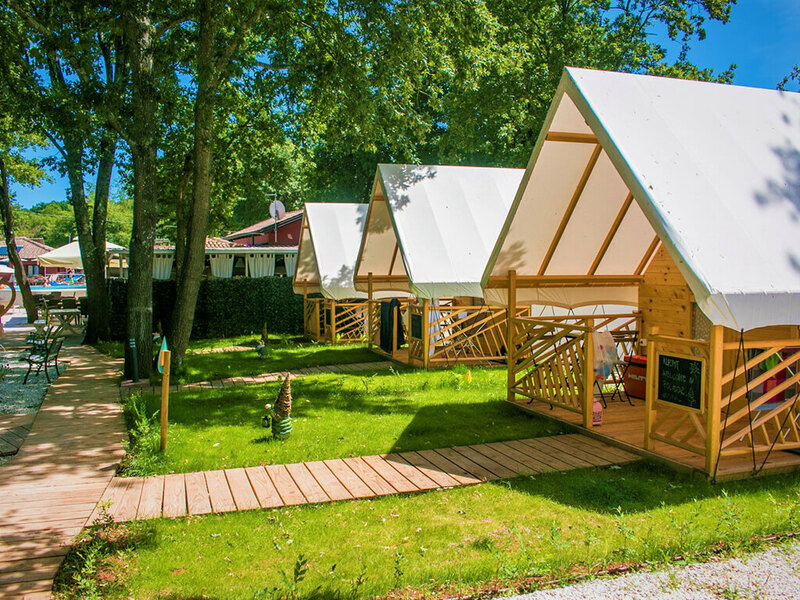 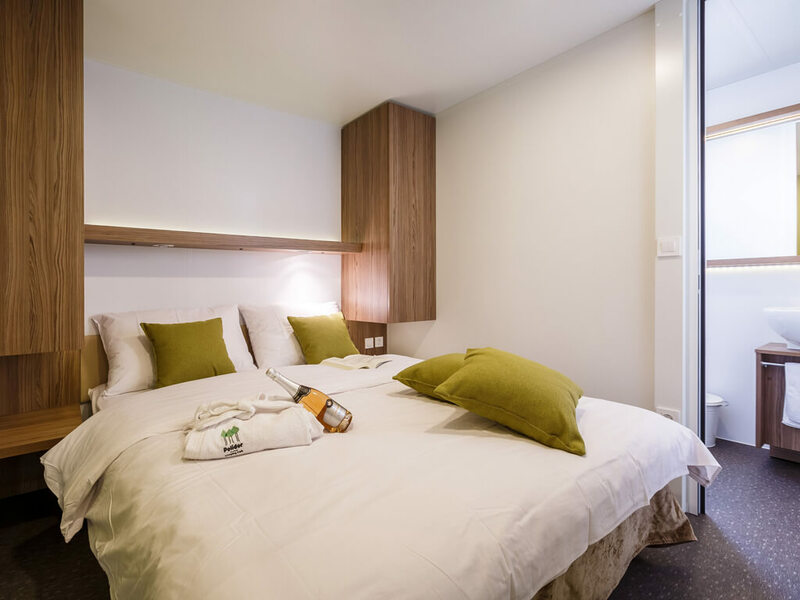 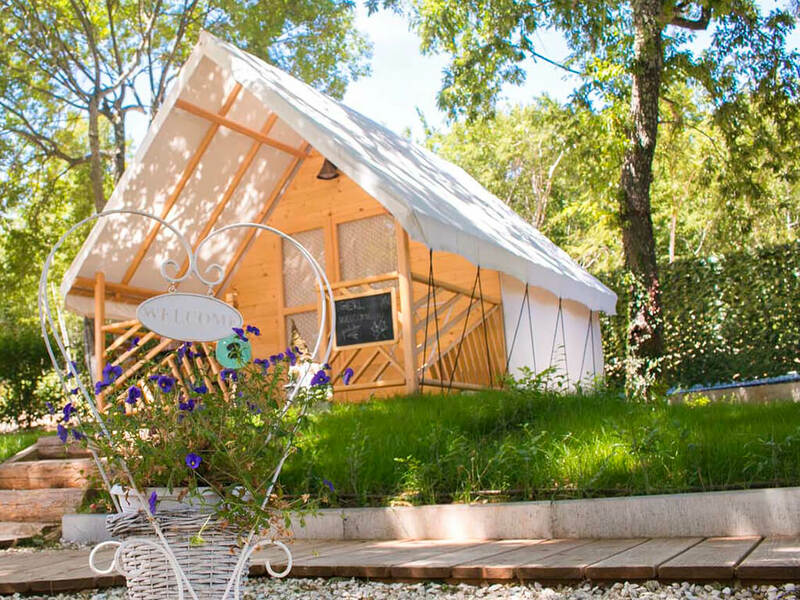 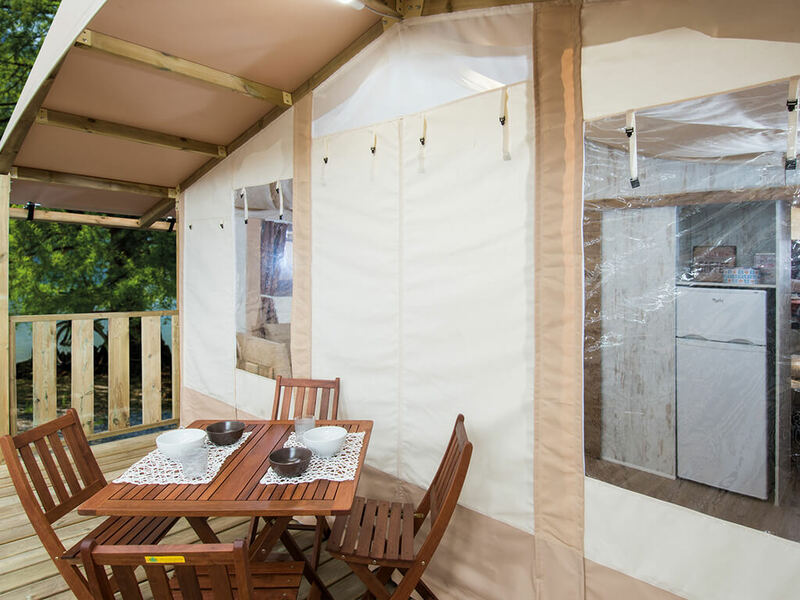 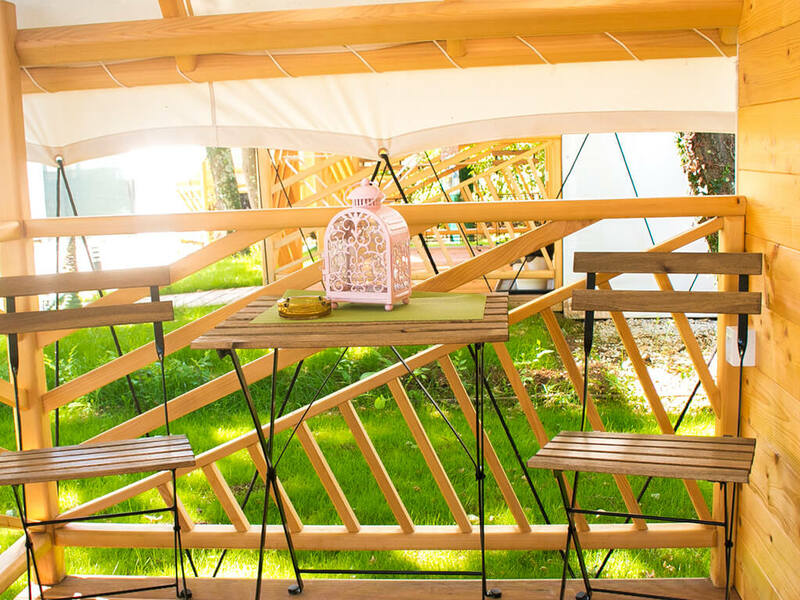 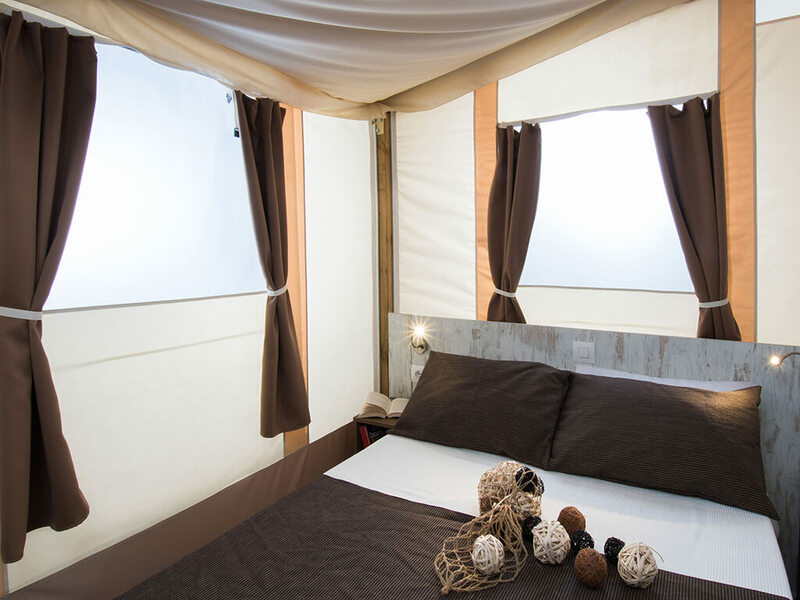 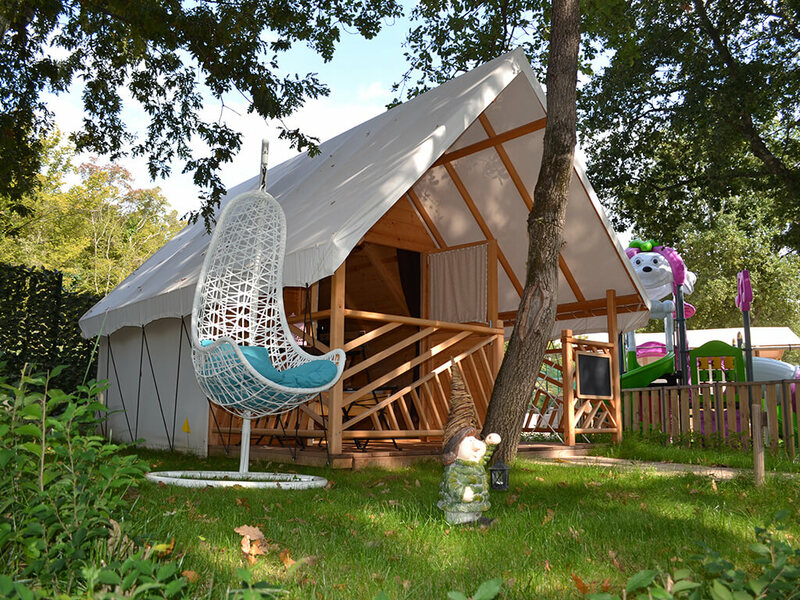 Here you will also find new Glamping Village, consisted of 6 glamping tents and 6 glamping rooms.